Growing up, there was one thing that I could always count on; if it was Sunday my family was having spaghetti and meatballs for dinner. Now today, if it’s Sunday you can count on, at least one Weber grill cooking in my backyard and most of the time two! As the Corporate Chef of the Weber Grill Restaurants I get to spend most my days in BBQ heaven. Now when I am at home, I love to experiment working with different rubs and layering flavors. I especially like working with different cooking techniques. This not only helps me create new menu items for the restaurants, but also helps when we have our grilling classes. People are always looking to grill better and all of these great experiences in my backyard help me provide them the best grilling information possible. One of my favorite things to do on a BBQ is take traditional “in the kitchen” items and get them on a Weber. For instance take my mom’s “Mama Marie’s Meatballs” which was a Sunday staple now done on my Weber grills! Anyone that grew up with an Italian mother knows her meatballs are the ones that all others are judged by. Below is the recipe that has been handed down for generations. To adapt the recipe to grill I have included a few tips. Thoroughly combine all the ingredients, do not over mix. 2. 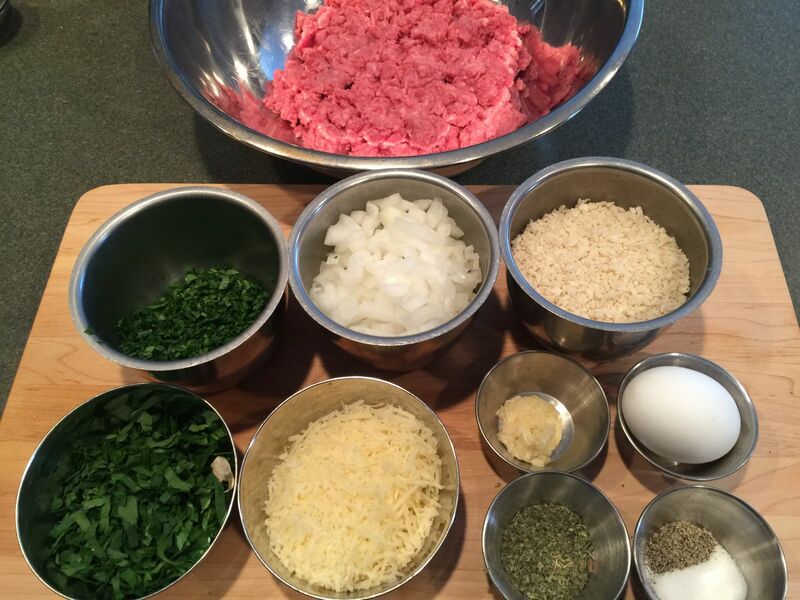 Measure mixture into 1” meatballs about 2 Tbsp. each. 3. With wet hands form into smooth balls. Skewer and place on a tray. 4. Cover with plastic and place in the refrigerator to chill (chill at least 1 hour). 5. Preheat the grill for direct cooking over medium heat (350° to 450°). 6. 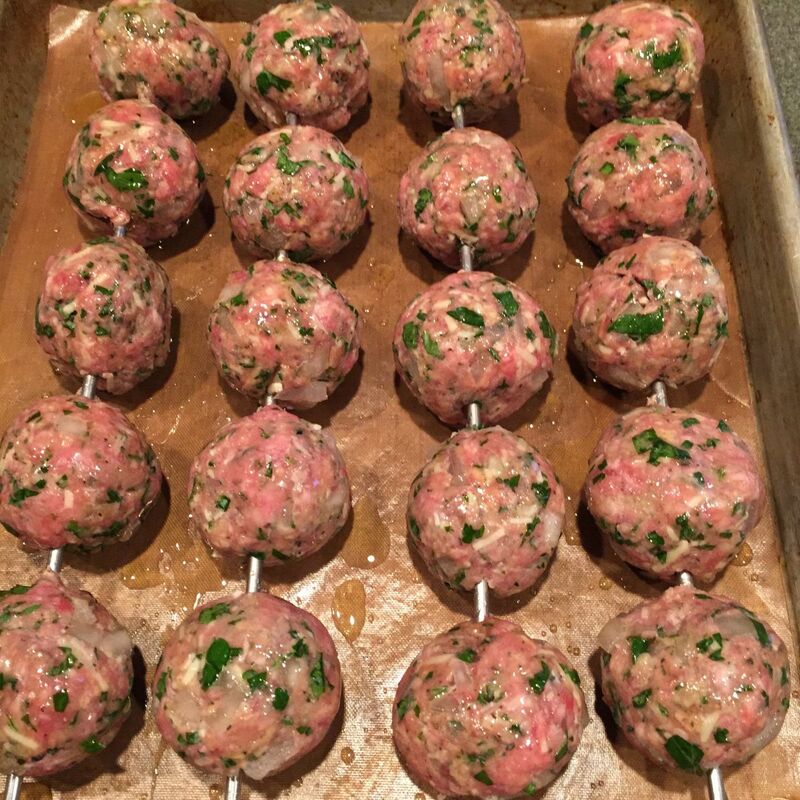 When the grill is ready and the meatballs are chilled brush the meatballs all over with the olive oil. 7. Place the meatballs on the preheated grill over direct medium heat and close the lid. 8. Cook for 12 to 15 minutes. 10. Cook until the meatballs are cooked through but not dry. 11. This can be an appetizer served with warm marinara or add it to your favorite pasta recipe. Enjoy! 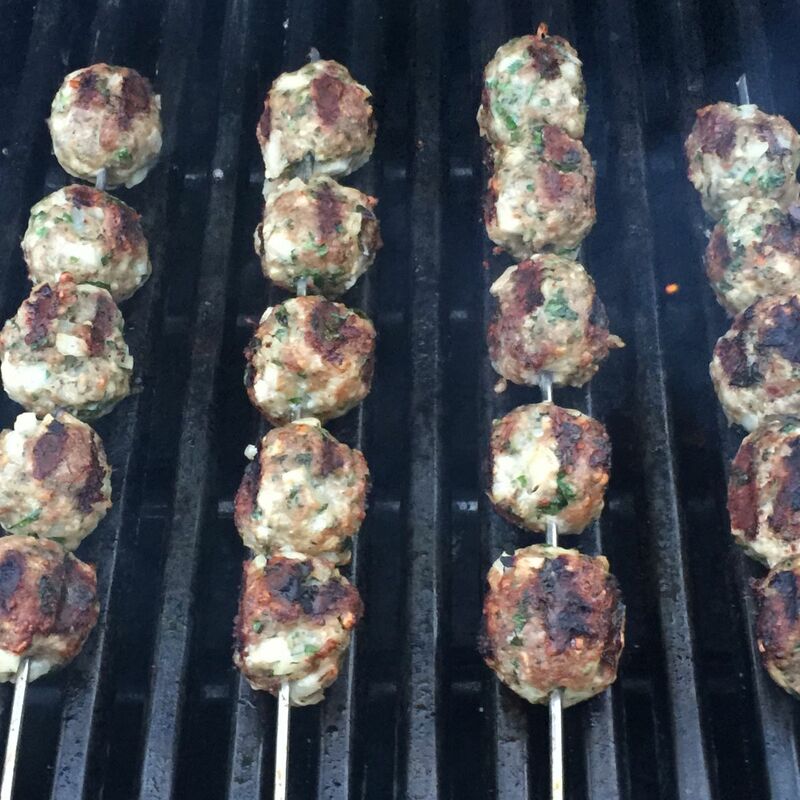 Grilling the meatballs helps provided some amazing flavor and gives them a slight smokiness. Next time I’m going to try them with charcoal. Remember, if you’re lookin’ you’re not cookin’.